The news of this contentious day got me thinking about a life-changing experience I had as a teenager many years ago. The year was 1957. 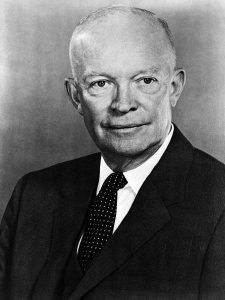 General Dwight David Eisenhower was the 34th president of the United States. He had a larger-than-life persona, an infectious and friendly smile and he was a person of character who appreciated the virtue of humility. During his first campaign in 1952, I proudly wore my “I like Ike” button. On the international stage, 1957 was the year the space age began. The USSR launched Sputnik and the first Intercontinental Ballistic Missile. It was also the year of the Eisenhower Doctrine. The foreign policy pronouncement offered economic and military assistance to any country that was being threatened by armed aggression from another state. Here at home, the Little Rock Nine integrated a high school in Arkansas. A ground breaking television program, Leave it to Beaver, premiered on CBS, and Elvis Presley made a controversial appearance on the Ed Sullivan Show. Virtually every teenager in America who had access to a television set watched Elvis sing Hound Dog, Love Me Tender, Heartbreak Hotel, Don’t Be Cruel, Too Much, When My Blue Moon Turns To Gold Again and Peace In the Valley. I was one of those enthusiastic fans. At the same time Elvis was alarming parents, a group of talented actors made West Side Story. It was the talk of Broadway. The editors of Time Magazine selected Nikita Khrushchev as their “Man of The Year” for his "de-Stalinization" policies. 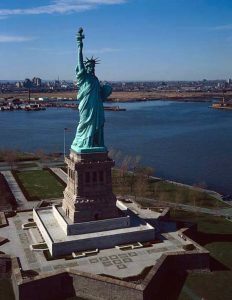 Speaking of New York, while all this was happening, the Symbol of Liberty Enlightening the World stood majestically in New York Harbor. For some unknown reason, one my teachers, Sr. Mary Felician, R.S.M., encouraged me to enter the Voice of Democracy speech competition. 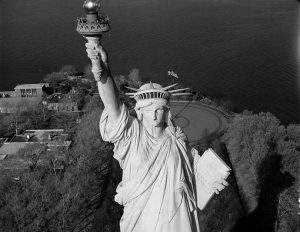 I respected her, and I decide to write a speech about the Statue of Liberty. Little did I know it at the time, but this would be a transformational experience. 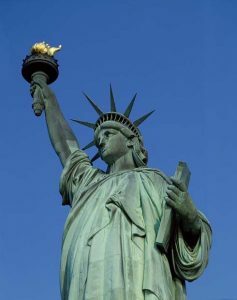 I discovered something about an important symbol of democracy, and I discovered something about myself. I enjoyed research, writing and public speaking. 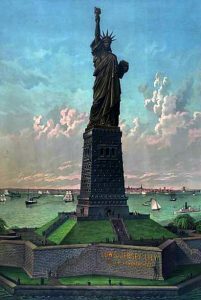 For me, the Statue of Liberty represents everything that is good, decent, wholesome and caring about the land of my birth. This is the entire sonnet. 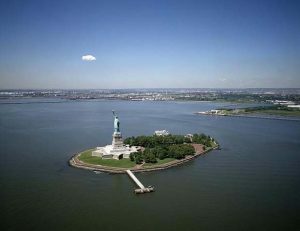 The most beautiful Lady in America, our Statue of Liberty, symbolizes compassion, gentleness, hope, freedom, friendship and a deep loving concern for the suffering of others. That’s the essence of America at its best.